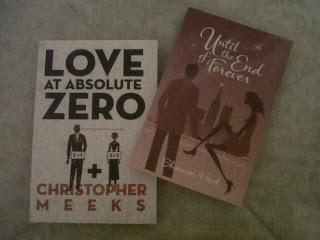 I actually got books IN MY MAILBOX this week! I was so excited! *My life is basically eat, sleep, write, read, repeat, so I don't have much to get excited about. * Both books are part of blog tours that I'm participating in during September and October. I'm reading this book as part of Chick Lit Plus's blog tour. I'll be reviewing the book September 28th, and posting a guest post by Shannon the next day. 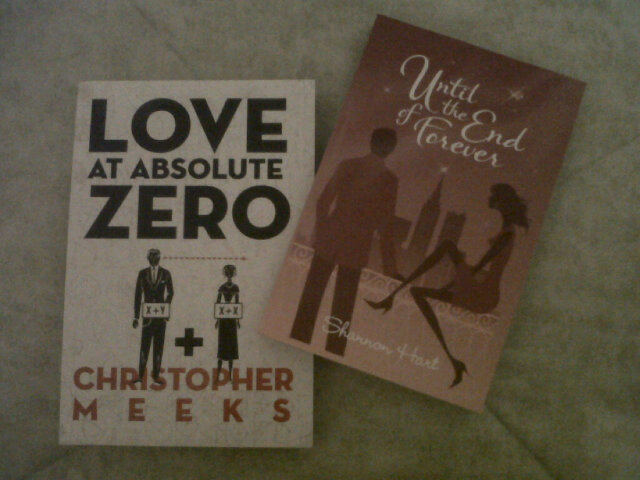 This one is part of Premier Virtual Author Book Tours' Christopher Meeks Blog Tour. My review will be up October 13th, and a guest post by Christopher will be up the next day. So that's what's in my mailbox this week. What books did you buy, borrow, win or receive this week? I've heard so many good things about Paranormalcy but haven't gotten around to reading it yet (for shame!)! Hope you enjoy your reads! I keep trying to start Falling in Love with English Boys...it looks so fun! falling in love with english boys i have to read lol it looks so good!!! Thanks for sharing some great looking titles. I am almost finished with Paranormalcy. I think you will really enjoy it! I received Love At Absolute Zero this week as well. Dead Over Heels looks like a good chick lit novel. Enjoy. I also haven't read Paranormalcy (Aylee I'm glad I'm not the only one! ), so I look forward to seeing what you think. Great haul!